We’re not yet even into July and already we have experienced one of the best summers in recent memory. 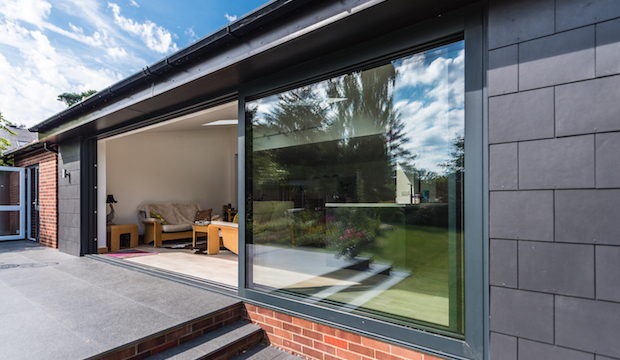 Hopefully, this exceptionally warm and sunny spell will continue throughout the next couple of months and if that transpires aïr owners will be lauding themselves for having the world’s best bi-folding and lift & slide doors integrated into their property. We say that as aïr can make you feel at one with the outdoors and make the outdoors feel like an extension of your home. That’s because the entire aïr range delivers a superbly spacious opening whether you love the bi-folding beauty of the aïr 800 or sensational sliding motion of the aïr 500LS & 600LS. The flexibility of aïr has enabled us to create designs that span amazingly lengthy distances when there is an aperture sizeable enough to accommodate their presence. It is impossible not to picture the scene with aïr in tow and envisage the mild summer breeze rushing into your interior or you racing outside to take in those sunny occasions in style on the patio or in the middle of the garden. And it’s not just when an aïr solution is opened that there will be a blurring of the lines between inside and outside. aïr offers narrower sightlines than all other popular bi-folding and sliding doors, giving you maximum views, minimal frame and a wealth of glass. The innumerable amount of sunlight that passes through all this glass will also brighten the inside of your house to such an extent that it’ll almost be like you’re living in a completely outdoor setting. Until you have come face-to-face with aïr it’s difficult to appreciate just how special these bi-folding and lift & slide doors are. So, schedule in a visit to our flagship showroom this summer, or call in at the aïrzone of your local Accredited Retailer.